Time to make sorbet and unwind. At least that’s how I remember the song going. Of course, this summer heat could be getting to me and I might not be remembering the lyrics quite right. One thing I am certain of is that when it’s summer, it’s a great time to make Sorbet. It’s true! 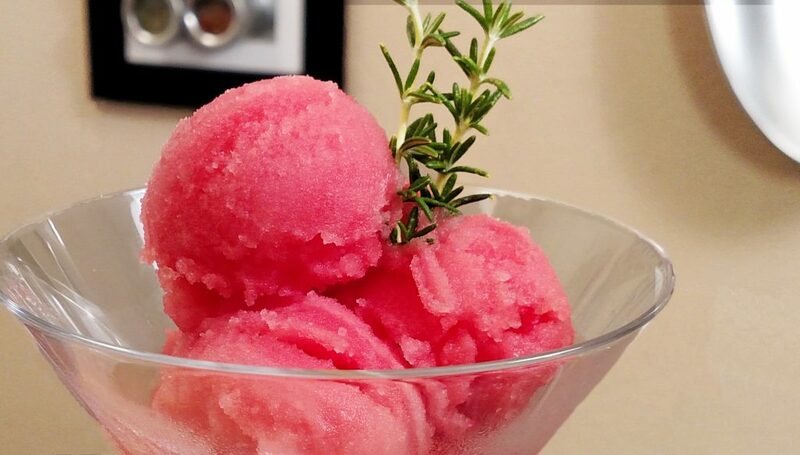 I do know that…which is why I want to show you how to make a great watermelon sorbet WITHOUT an ice cream maker. To that I say, no problem! Sure, I made the Watermelon Sorbet using the Food Processor attachment because it does work a little better…but a regular blender works just fine…you might just need a touch more liquid to get things going. And if you don’t have one of those, well, you can pick one up for 10-15 bucks. (I actually saw one at Macy’s for $9.99 a couple weeks ago). If you have a tiny kitchen like me and like to cook, though, I might recommend looking into one of the Blender/Food Processor Combos. The same size as a regular blender and it gives you the ability to do soooo much more. I love mine. Anyway, back to the recipe. It could not be easier. Cut. Freeze. Blend. Eat. That’s it! You can freeze up the watermelon anytime. 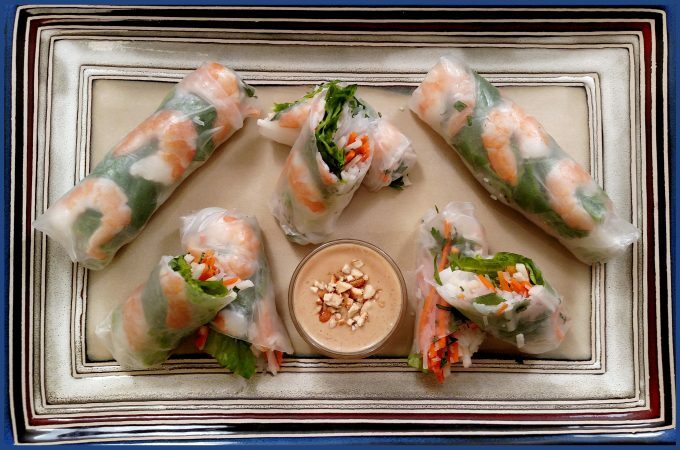 Store it in an air tight container or Freezer bag in the freezer for up to a few days. Technically, you can keep it for longer than that, but just like ice…if you leave it in the freezer too long, sometimes it starts to taste, well, like the stuff in the freezer. But for a few days…no problem. You might even find yourself a new snack. Frozen watermelon cubes are addictive. And they make a great addition to a tall glass of ice water…just throw two or three cubes in there for a fruit infused glass of ice water. And for the adults out there, when you’re blending the watermelon sorbet, you can even add a splash or two of your favorite Rum to this recipe. Voila! Freshly made Watermelon Daiquiri Sorbet. Yum! 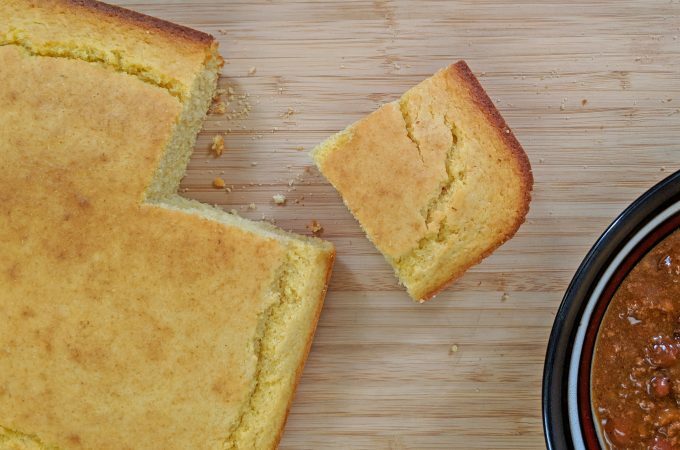 Can’t wait for you to try this recipe…and if you have kids, get them involved…this is a fun one! As always, I love to see your creations. 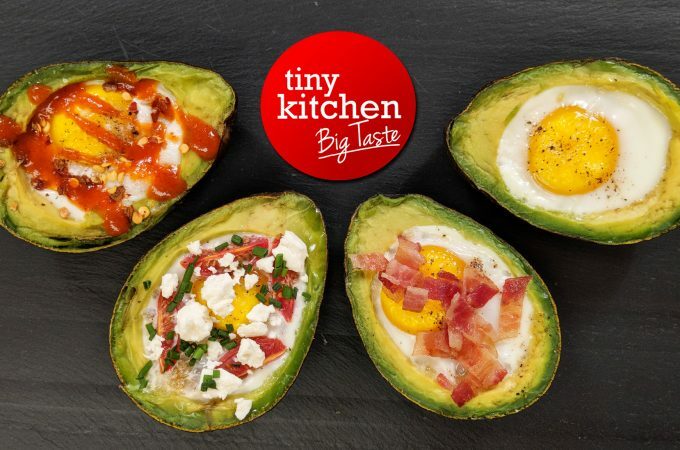 Post a pic on Instagram and tag us (@tinykitchenTV)! Summer’s Hot. Sorbet’s Cool. 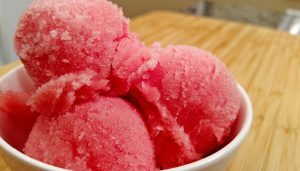 This Tiny Kitchen Big Taste Watermelon Sorbet is simple one to churn up…WITHOUT an ice cream maker. Cut Watermelon into 1/4 cubes. Place cubed Watermelon on a Baking Sheet lined with Non-Stick Aluminum Foil. Chill for 3-4 hours or until completely frozen. When the Watermelon is frozen and ready to use, create a concentrated simple syrup in a small Glass Measuring Cup by bringing Water to a boil. Add Sugar and Lemon Juice. Mix until dissolved. Enjoy immediately or store in Freezer to harden a touch. Stores well for about 2-3 days!